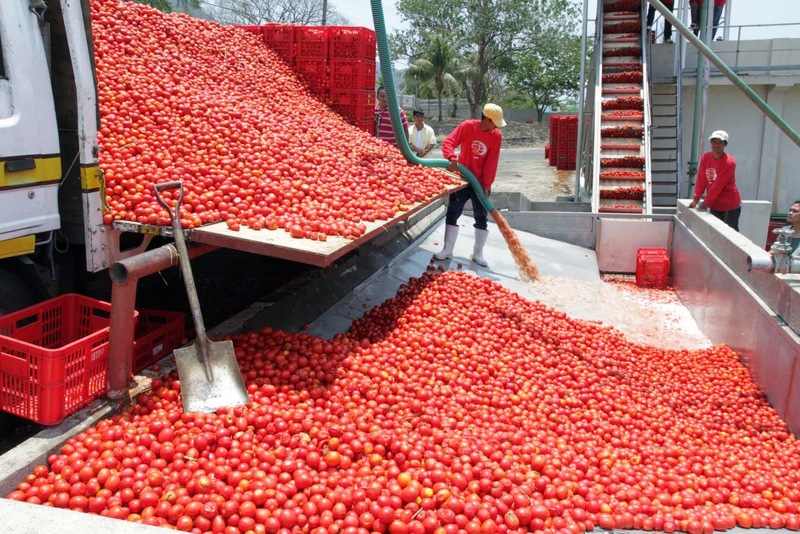 For promotion of processing of agricultural produce including tomato, the Ministry of Food Processing Industries had been implementing the Scheme of Technology Upgradation/Establishment/Modernization of Food Processing Industries since 8th Plan. Under this scheme, financial assistance in the form of grant-in-aid is provided to the eligible entrepreneurs for the purpose of setting up of food processing industries and upgradation of the existing food processing capacities including processing of tomatoes. During 12th Plan, this Scheme was subsumed in the Centrally Sponsored Scheme – National Mission on Food Processing (NMFP) w.e.f. 01.04.2012, which was implemented through State/UT Governments. States and UT Governments were given flexibility in receiving the applications and sanctioning grant to the food processing industries based on areas specific needs and availability of the raw materials. However, National Mission on Food Processing has been de-linked from the Central Government support w.e.f. 01.04.2015 in view of the increased allocation to the states resulting from the recommendations of the 14th Finance Commission. This information was given by the Minister of State for Food Processing Industries, Smt Sadhvi Niranjan Jyoti in Lok Sabha. Modification in the Scheme of Infrastructure Development for Food Processing: Mega Food Parks. The Cabinet Committee on Economic Affairs, chaired by the Prime Minister Shri Narendra Modi, has approved the modification in Mega Food Park Scheme guideline of infrastructure development for food processing. These modifications will streamline the implementation of the scheme and make the implementation of the Mega Food Parks smooth. These modifications are expected to trigger further investment in the food processing sector and ensure smooth implementation of the Mega Food Parks scheme particularly, projects at initial phases of the scheme’s implementation. The Scheme will be implemented in a market driven manner commensurate with both global and national demands. Innovative supply chain management will be the key to implementation of this scheme. The project proposals for focusing on the processing and preservation of perishable food products will be given weightage in selection. ii. Estimated investment in each project will be about Rs. 100 crore in common facilities and will leverage an additional investment of about Rs. 250 crore. iii. Expected annual turnover of each project will be Rs. 500 crore. iv. About 30 food processing units are expected to be setup in each project. The modification will also bring Central Government agencies on par with the State Government agencies by removing the restriction of a maximum 26 percent on their equity holding in the Special Purpose Vehicle (SPV) and allowing all Government agencies to become shareholders in the SPV without any restriction on their shareholding. The Infrastructure Development Scheme for Mega Food Parks aims at providing modern infrastructure facilities for food processing industries along the value chain from farm to market. As per the Scheme, ownership and management of the Mega Food Park vests with a SPV in which organized retailers, processors, service providers etc may be the equity holders or there may be an anchor investor along with its ancillaries, associated companies and other stakeholders. The Farmer organisations are encouraged to participate in the SPV. The Anchor Investor in the SPV holding majority (at least 51 percent), stake with or without other promoters of the SPV, will be required to set up at least one food processing unit in the park with an investment of not less than Rs. 10 crore. However, State Government / State Government entities and Co-operatives applying for projects under the scheme are not required to form a separate SPV and set up processing unit(s) in the Park. In case, the Central Government agencies become shareholders in the SPV, their equity has been restricted to a maximum 26 percent. The Food Safety and Standards Authority of India (FSSAI) under the Ministry of Health and Family Welfare has issued regulations including the Food Safety and Standards (Food Products Standards and Food Additives) Regulations, 2011 and the Food Safety and Standards (Contaminants, Toxins and Residues) Regulations, 2011 which prescribe the quality and safety standards for food products. FSSAI has informed that there are 166 Food Testing Laboratories under its purview for testing food products as per standards prescribed under the Food Safety and Standards Act, 2006 and Rules / Regulations, 2011. Out of these 166 laboratories, 72 laboratories are State/ Public Food laboratories functioning under the State / Union Territory Government; 12 laboratories are Referral Laboratories notified by FSSAI for the purpose of referral testing under FSS Act, 2006 / Rules & Regulations, 2011; 82 laboratories are NABL accredited private laboratories notified by FSSAI. Further, FSSAI has also informed that penalty for possessing adulterant has been prescribed in Section 57 of the Food Safety & Standards (FSS) Act, 2006. Regular surveillance, monitoring & sampling of food products is being undertaken by State / UT Governments under FSS Act, 2006. In cases where samples are found to be not conforming to the provisions of the Act and Rules and Regulations made thereunder, penal action is initiated against the offender. FSSAI has informed that Food Safety and Standards (Packaging and Labeling) Regulations, 2011 have been notified under the FSS Act, 2006. These regulations prescribe the requirement/ contents to be mentioned on the label of food products. No specific survey of food processing industries has been conducted by the Ministry. However, Annual Survey of Industries (ASI) by Central Statistics Office (CSO) is the main source of data on the number of units, number of persons engaged, investment in fixed capital and other important characteristics including food processing units registered under Factories Act, 1948. Source: Annual Survey of Industries (ASI) 2012-13, Central Statistics Office (CSO).